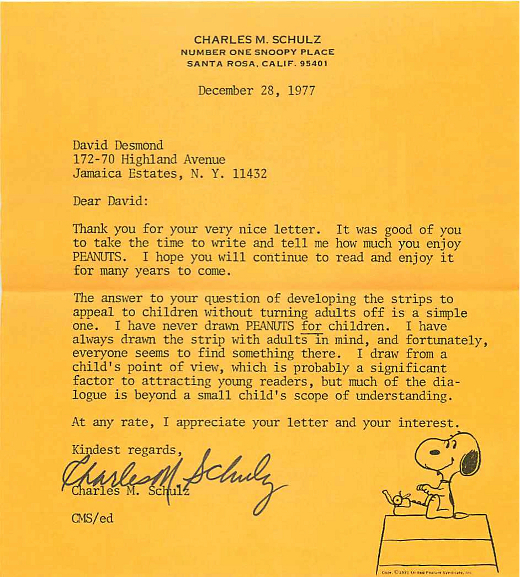 Reader David Desmond remembers fondly the day he received the following letter from the late-Charles Schulz, creator of what is widely considered to be one of the greatest comic strips ever created: Peanuts. I can still recall the feelings of amazement and excitement that I experienced when I received this letter. Even then I understood that the production of a daily comic strip could be quite demanding, so for Charles M. Schulz to have taken the time to reply to my letter made it that much more special. Schulz's gracious response was typewritten in 1977, at which point Peanuts had already been running for a very respectable 27 years. It continued for another 23. 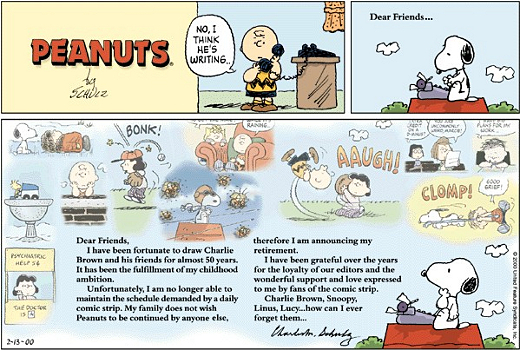 On February 13th of 2000 - the day after Schulz's death - the final original Peanuts strip (see above) was published. Transcript follows. Image courtesy of David Desmond. Thank you for your very nice letter. It was good of you to take the time to write and tell me how much you enjoy PEANUTS. I hope you will continue to read and enjoy it for many years to come. The answer to your question of developing the strips to appeal to children without turning adults off is a simple one. I have never drawn PEANUTS for children. I have always drawn the strip with adults in mind, and fortunately, everyone seems to find something there. 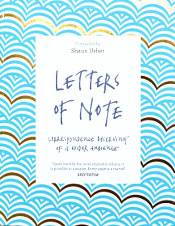 I draw from a child's point of view, which is probably a significant factor to attracting young readers, but much of the dialogue is beyond a small child's scope of understanding. 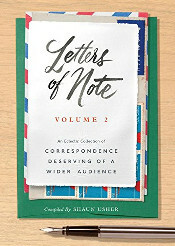 At any rate, I appreciate your letter and your interest.